No support at this time. Looks like they shut down. 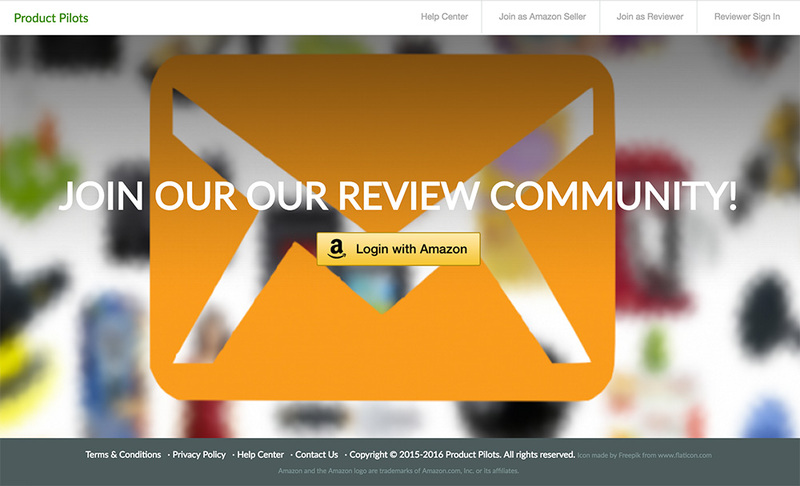 Product Pilots is the product testing side of AMZN Review (a service for Amazon Sellers). When Reviewers sign up, they are given two “coins”, which you spend to apply for products. Each coin enables you to purchase 1 product. They do not choose specific people or groups to buy products, which means that anyone can buy available products with coins. Reviewers will be rewarded one coin once they write verified reviews so that they always have coins to apply for products. Reviewers without verified reviews will lose coins and cannot purchase. The amount of coins you can have at one time grows as you purchase and review products with them. Basically, they reward loyal Reviewers with the ability to purchase more items at once. Adding videos and photos can net you additional coins as well. See their Help center for more details. You ever sign in to a website using your Facebook or Twitter account login? This site allows you to sign ip and log in using your Amazon account, in much the same way. It is called federated login or single sign-on, and is used by millions of websites to allow users to sign in using a login they already have. It’s generally a safe practice, and when you first sign up/in, you will told what information is passed to the website owners. Be sure to check that first, understand it, and be okay with it before you agree to the terms. I mention this because using your Amazon account to sign into a website is fairly new to some users, but you will start to see this as a more common method of signing in. NOTE: As of Oct 9, 2016, it looks like they have paused all operations. Will keep this page up in the event they start back up again. Hi Allen, this is Vivian from ProductPilots. Thanks for checking out our platform and we are so sorry to make you disappointed at this time. As a recent launched review site, we have put all efforts to expand as many markets as we can. Right now, to be honest, most of our sellers are US Amazon sellers and we are eager to seeking other market sellers. 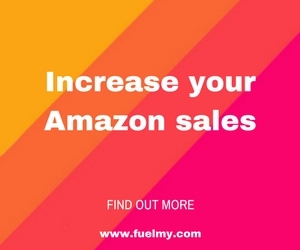 We do support Canada Amazon, any Canada Amazon seller can apply our ProductPilots platform. Would you mind giving us some time to reach out Canada sellers? ProductPilots appreciates your reply and we will try our best to satisfy every customer, especially in Canada~ Thank you! If you have further more questions, you can contact us via our ProductPilots website to leave your comments and thoughts for our platform. Thank you so much~! Have a good day! Hi there I am trying to delete my acct with you guys but it keeps sending me to an error page. Please help. I’m worried that due to me signing in with my amazon account now I will be vulnerable. I don’t want my debit and credit cards to be taken advantage of. yes there is I live in Canada and I signed up for 2 programs through this site . But the sites have limited items for review for Canada . 7 items, nothing good, nothing cheap, nothing free. Thanks for letting us know. I am feeling that this is a ‘chicken and the egg’ problem in that it is far easier to get Reviewers to sign up for these sites than it is to get Sellers to sign up. I’ll reach out and see what they say about it. Thanks for checking out our ProductPilots platform. I am so sorry that our UK market makes you feel disappointed. ProductPilots does support the UK Amazon site, however, just like Tristan said, we need to reach out UK sellers to provide products for customers like you. We are expanding and we may need some time to fill up our UK pages. Right now, US market in ProductPilots is the most active. Thanks for your comments here! If you would not mind, you can contact us via our ProductPilots website to leave any questions and comments for our platform. Thank you so much~! Have a good day! How do I use my Amazon.co.uk login? It only allows me to sign in using an Amazon.com account (which I don’t have as I’m in the UK). Not sure. Though the UK support for this came with an asterisk: “the UK market is expanding, but not a lot of products at the moment. They are working hard to get more Sellers for UK reviewers.” I recommend contacting them through their support center. Thanks for replying, Tristan. I’ll try and email them. There seems to be a lot more products now so hopefully that will continue to grow. Discounts weren’t that great and limited products…this is in the US..I’d say don’t waste your time. Plus I don’t like the idea that you give them your full Amazon account vs. just your profile link. Why would a website or app use Login with Amazon? Login with Amazon is a free product that allows clients to quickly and easily integrate a login solution to their website that makes it easier for over 200 million Amazon customers to login to their website. It also allows users to easily share profile data, such as their email address, with a client. Login with Amazon allows users to login securely and without hassles using their Amazon account. That is one less username and password they have to remember in an environment where password reuse can compromise the user’s information on multiple sites if an attacker finds a vulnerability in just one of those sites. Thanks for your criticism and suggestion. It is our honor to have honest customers like you. We will keep on going and try out best to provide greater deals for you! We promise that ProductPilots will not make you disappointed in future~! Hi, is this only for people in these countries? I live in Suriname that’s above Brazil and I’ll be moving back tomGreece in December. Which sides should I go on? Now, our US site is the most active which offers the most products. We are expanding our European site that including Greece. We suggest you to shop sites according to where you live because you need to enter your address to receive the products.Please sign up and keep a watchful eye on our EU site~ Thanks for your asking!! Hi, I have a little question. I don’t live in USA but I often receive articles that I buy from Amazon and ebay from USA because I have a courier there and they send me articles all months. Can I sign up in this page? There is no products for India.. It may be that your browser is blocking the pop-up. Keep getting a blank screen and so I have been unsuccessful in signing up. Update: Upon closer attention to little things on my screen, I realized the pop-up was being blocked. Now problem resolved and able to join. Could you please change your browser setting for our ProductPilots or Could you use other browser to sign in? I can use Chrome, IE and Firefox to sign in. I have checked and it should be no problem. Everything worked perfectly for me, and I so far I love it. Within just a few minutes I was ordering my first product to review because there was no waiting for the seller to approve. I find this ironic as Amazon has changed their rules for reviews- and will remove reviews where a product has been offered in exchange for a review on the site. Amazon are actively removing reviews that state a product was given in exchange for a review, so how can ProductPilots be a viable business model? Thanks for your comment on the blog. Product Pilots and other companies/programs can still be viable business as long as they change their policies on reviews. Amazon only said they can’t ask or request reviews, and many have changed their policies to reflect that. You can see a list of those companies here. I wrote a blog post explaining how this policy change affects and does not affect the industry. They are no longer offering products. It’s not paused at the moment (25 January) but the setup (free products in return for Amazon review) is blatantly against Amazon’s rules. Doing anything blatantly against Amazon’ rules… and to use your Amazon account as a log-in, alerting Amazon that you’re doing this? !